Fixed appliances are made up of small metal or ceramic brackets that are glued to your teeth. They act as handles that move your teeth under the control of orthodontic wires. The wires are initially flexible and become stiffer as treatment progresses. It is not unusual for your teeth and mouth to become painful during treatment, especially when starting treatment. A soft diet and painkillers (like those used for headaches) are advisable, especially after wires are changed. Orthodontic wax and some oral gels can help ease sore cheeks and lips. It very much depends on the complexity of your condition, your expectation of treatment and the outcome you desire. Some orthodontic treatments can be completed in 6-12 months but more complex comprehensive treatment takes approximately 18-24 months, occasionally longer, especially if your care involves other dental treatments. Fixed appliances are very good at straightening teeth but sometimes take longer to move the roots to the correct position. Braces removed too early can lead to poor treatment results and a higher chance of relapse. Children’s tooth movement is often more progressive than adults and treatment times need to take this into account. How are my teeth kept straight after treatment? Your teeth need time to adjust to their new positions and during this time you will need to wear orthodontic retainers. Without retainers, your teeth will move and become crooked again. The type of retainer and duration of wear depends on each individual and varies from patient to patient. This will be discussed at your consultation and again, when your brace is removed. Unfortunately, as we get older, there is a natural tendency for teeth to become crooked. This is especially so in your lower six front teeth. The only way to prevent this is to wear retainers on a long term basis, for as long as you want perfectly straight teeth. The brace is fixed to your teeth so it is vitally important to spend extra time cleaning all around the brace as well as your teeth and gums. A regular tooth brush is appropriate, electric toothbrushes are also helpful. Small inter-dental brushes are especially indicated for difficult areas. It is important to use a fluoride toothpaste for brushing and a fluoride mouthwash once daily to protect your teeth during treatment. This is all in conjunction with a healthy diet where frequency and amount of sugar consumption is kept to a minimum. You should continue to see your dentist for regular care and professional scaling and cleaning. Call the practice to seek advice or arrange an appointment to have the brace repaired. If your next appointment is due soon, the brace can be repaired then. Urgent appointments are available if you are in pain because of a broken brace. Lips, teeth and braces are prone to damage during contact sports. The use of a helmet or a mouth guard is advisable. Mouth guards that are softened in hot water and custom moulded to the mouth over the brace and teeth are useful. Will I be able to play musical instruments? Most people adapt to wind instruments within 3-4 months during orthodontic treatment. Orthodontic wax and some oral gels can help ease sore cheeks and lips during adaptation. What are the risks of having orthodontic treatment? Poor brushing and too much sugar in your diet leads to decay that spreads around the braces. It appears initially as a permanent white mark on the tooth (Decalcification). This rapidly turns brown and cavities can appear in as little as 8 weeks. This results in permanent staining on your teeth. Poor oral hygiene will also cause your gums to swell and bleed. Sometimes, when there is evidence of decalcification, braces need to be removed before treatment is finished to prevent further damage to teeth. This happens during all orthodontic treatment and in general is so small it has no effect on the health of the teeth. However, occasionally and largely unpredictably, the root shortening is excessive and treatment may need to be changed or stopped to protect the health of your teeth. 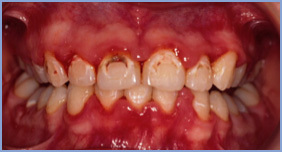 Previous damage and trauma to teeth or a second course of fixed orthodontics can make resorption worse, please tell your orthodontist if you have traumatised you teeth or you have had orthodontic treatment before. Sometimes the amount and direction of facial growth can complicate treatment and contribute to changes to your teeth and position of your jaws after treatment. Sometimes treatment may have to be delayed until growth has stopped. Current evidence from research across the world finds no association between orthodontic treatment and jaw joint problems. However jaw joint problems, if they are to occur, often present for the first time in adolescence irrespective of orthodontic treatment. It is important to tell the orthodontist if you are experiencing jaw problems such as pain or clicking joints before orthodontic treatment starts. The success and duration of your orthodontic treatment to some extent depends on you. It is vitally important that your brace is not broken, appointments are kept and your mouth and braces are kept spotlessly clean. It is important to follow the orthodontists instructions, especially if using elastics.